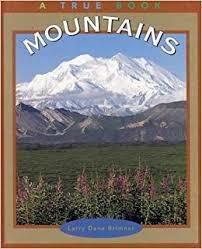 Mountains Research Papers explore the different categories of mountains and characteristics of each. This is a topic suggestion on Mountains from Paper Masters. Use this topic or order a custom research paper, written exactly how you need it to be. The purpose of this paper is to identify and describe three types of mountains. In Earth Science, authors acknowledge that although no two mountain ranges are alike, they can be grouped according to their dominant characteristics. In this paper, I will discuss three main categories of mountains; 1) Fault-block mountains, 2) Upwarped mountains, and 3) Folded mountains. For each type, I will outline the formation, the primary characteristics and provide examples. Fault-block mountains are formed as a result of the faulting activity of the earth’s crust. These mountains are characterized by the fact that moderate- to high-angle faults form one or more of their boundaries. The type of faulting activity, such as normal or uplifting, determines the resulting mountain formation. Some of the best examples of these types of mountains are located in the southwestern region of the United States. In fact, the Basin and Range Province covers nearly all of Nevada and some parts of Arizona, New Mexico, Utah and California. The Basin and Range Province is characterized by several mountain ranges that lie almost parallel to each other. It is believed that the fracturing of the earth’s crust into blocks and subsequent volcanic activity formed these ranges. Additional examples of fault-block mountain ranges include the Teton and Sierra Nevada ranges. Upwarped mountains occur as a result of “broad arching of the [earth’s] crust or, in some instances, because of vertical displacement along high-angle faults”. Perhaps the most well known examples of upwarped mountains are found in the Black Hills region of South Dakota. These mountains are composed mainly of igneous and metamorphic bedrock that has had its sedimentary layers worn away by erosion. Other examples include the Adirondack Mountains and some southern portions of the Rocky Mountains. Folded mountains, also known as complex mountains, comprise most of the largest mountain ranges in the world. These include the Alps in Europe and the Himalayas in Asia. The most famous example of folded mountains in the United States is the Appalachians. The formation of these mountains begins with the collision of separate plates of the earth’s crust. Subsequent compression creates folds in the crust that are then uplifted to form the mountains. Although folding is the predominant activity in the formation of these mountains, faulting and metamorphic and igneous rock activity also play a role. This would explain why these mountains are also called complex mountains. It is impossible to say with absolute certainty what causes the formation of mountains, but most of the evidence supports the theory of the faulting, arching and folding of the earth’s crust. In conclusion, I would like to point out that the processes involved in the formation of mountains take place over millions of years. For this reason, much of the research on this Mountains is open to differing interpretations. Paper Masters writes custom research papers on Mountains and explore the different categories of mountains and characteristics of each.